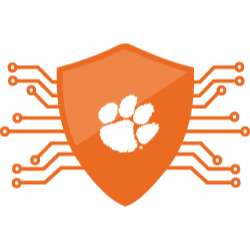 CU Cyber is a student led organization that focuses on the technical and social aspects of cyber security. Our mission is to provide students with unique opportunities to compete in cybersecurity competitions, develop security skills, learn advanced tools and techniques, and network with industry partners. Our goal is to educate and prepare students for careers as cybersecurity professionals. 2019 PCDC First Place; Team Members: Nick Bulischeck, Max Harley, Weston Belk, Kenneth Simpson, David Houston, and Matthew Rinaldi; Our former president, Nick Bulischeck, took MVP of the competition! 2017 PCDC Runner Up; Team Members: Nick Bulischeck, Max Harley, Foster McLane, Weston Belk, Andrew Samuels, and Mackenzie Binns; Our former president, Mackenzie Binns, again took MVP of the competition! 2016 PCDC First Place; Team Members: Spencer Provost, Peter Schatteman, Nick Bulischeck, Mackenzie Binns, Foster McLane, Tyler Bautista; Our former president, Mackenzie Binns, took MVP of the competition! We accomplish these goals by training in simulated environments that allow us to practice successfully securing computer systems utilizing real world strategies and competing in cybersecurity capture the flag competitions. While we teach offensive techniques these are not meant to be applied maliciously or without permission, they are taught so that defensive solutions are more comprehensive. CU Cyber meetings are held Thursdays at 7pm in the Watt Family Innovation Center room 208. We will cover security topics and tools in these meetings that can be applied to your professional and daily life. Opportunities may arise throughout the year for guests to attend meetings and provide insight on current security issues and events. There will be several opportunities during the semester for students to travel to security competitions. This will provide students with the experience of competing against peers from other schools.